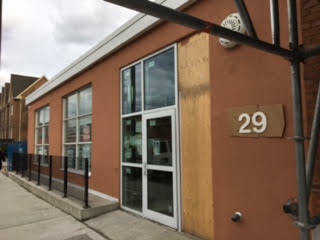 On February 3, 2016, City Council approved a staff report that recommends a new men’s emergency shelter operated by the Salvation Army be located at 29 Leslie Street. The new shelter has 60 beds and opened in January 2018. Additional information is available on Homeless Help. Community Liaison Committee Meeting Minutes are available upon request. If you would like to receive a copy, email ssha.homeless@toronto.ca.